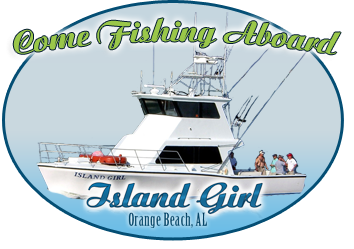 The Island Girl is a USCG inspected passenger vessel certified for up to 20 passengers. The boat is equipped with all of the required safety gear, as well as a few extra safety items. We have a very good a/c and heating system throughout the vessel to keep you comfortable on those hot summer days or cooler spring and fall trips. There are many other amenities on board to add to your experience: bathroom with stand-up hot water shower, refrigerator, freezer, microwave, Big Green Egg smoker/grill, TV/DVD player, Syrius XM satellite radio, comfortable seating and bunks. 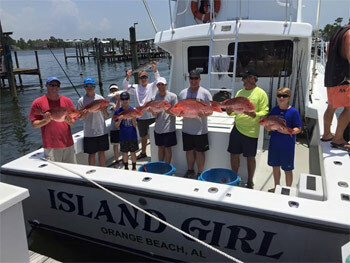 Captain Brian Lynch is an experienced local fishermen with the goal to take you for a safe and memorable trip on the Gulf of Mexico. Brian has many years of experience charter fishing and boating the Northern Gulf of Mexico from Appalachicola, FL to Grand Isle, LA. Brian is an owner/operator that has been a licensed captain since 1992 and has been on board the Island Girl since 1994. For us, a successful trip is a safe return with satisfied customers.